24SevenOffice is Europe’s first 100% web-based ERP system delivered on Cloud Computing technology and SaaS (Software as a service). 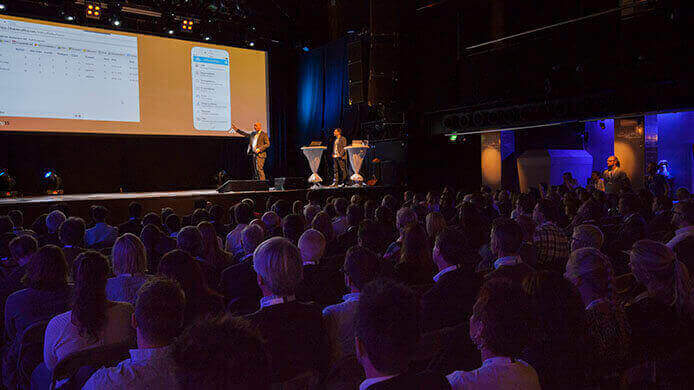 The company was born in the Cloud and established in 1997 and now have over 38.000 companies as customers. The solutions are available through a browser, tablet or mobile. The functionality the customer gets access to is automatically adapted to the right device in which the solution is accessed from. The company was established in 1997, listed on the Aktietorget Stock Exchange in 2017. The company has invested heavily in technology and is one of the few true SaaS ERP companies with a solution that is feature-rich and scalable enough for large enterprises. 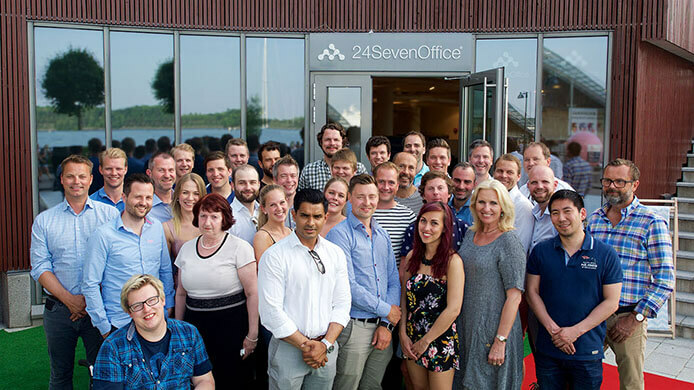 24SevenOffice has clients such as PwC, KPMG, and HAB Construction with turnover in excess of NOK 350 million. The company has invested a considerable amount in creating a scalable and solid technology. This provides extreme scalability, where other cloud-based systems that have not taken this investment will face bottlenecks in the future. The company has always focused on being a leader in technology and will continue to invest heavy in technology. Overview of income and investment in technology and growth since 2001. The company’s business model is based on a subscription model that ensures the company recurring and predictable revenues, which in turn ensure good services for our customers going forward. After years of heavy investment in technology (the green area in the figure above), the company has now reached critical mass and has a subscription base in excess of the costs. The company is controlled by long-term investors and its investment philosophy is to reinvest in new technology, growth and international expansion as long as the company has positive operational earnings (EBITDA). SaaS companies are valued mainly by growth and technology, hence this strategy gives our owners the greatest return, while ensuring our customers the best SaaS solution in the market year after year. We notice an increasing demand from medium-sized businesses preferring cloud-based solutions. Small businesses have for a period selected to simplify its operations with cloud-based systems while the midsized companies have kept their installed systems, often on their own internal servers. The majority of companies changing their systems today want a cloud-based business application. Analyses from respectable IT analysts such as Gartner and IDC expects explosive growth in cloud solutions in the future. 24SevenOffice had a turnover of approximately USD 10 million in 2017 and an operating profit before depreciation (EBITDA) for 2017 of USD 0.8 million. The company’s business model is based on a subscription model that ensures the company recurring and predictable revenue. The underlying growth in recurring subscription is in excess of 35% annually.